Ċensu Fenech is the guest speaker at the 162nd meeting of the Art Discussion Group (ADG) that will be held tomorrow at 7.30pm at Balzan parish centre, 36, Idmejda Street, (next to the Good Shepherd Church). During the meeting, Fenech will deliver a PowerPoint presentation featuring his new work and a retrospective selection of his past sculptures. The presentation will be followed by an analysis, discussion and time for questions. Fenech’s work is much appreciated abroad and has been given ample promotion. There is a sense of Calatrava’s architectural dynamic flying concrete structures in Fenech’s works. They are architectural constructions that intimate a lyrical and poetic rhythm. There is a fine sense of music in his volumes, whether in stucco, stone or ceramics. In stucco, the works are light and dynamic with flowing movement; in stone, the works are solid and at times heavy; in ceramics, vivid colour dominates the structures with a vertical lift. The repetition of a module to create a pattern and rhythm is the basis of his concepts. His vision is quite lyrical. Fenech spent his working career at the local Drydocks as dock master. Surprisingly he discovered that he had a talent for sculpture. After attending the local School of Art he obtained a diploma in sculpture with distinction. 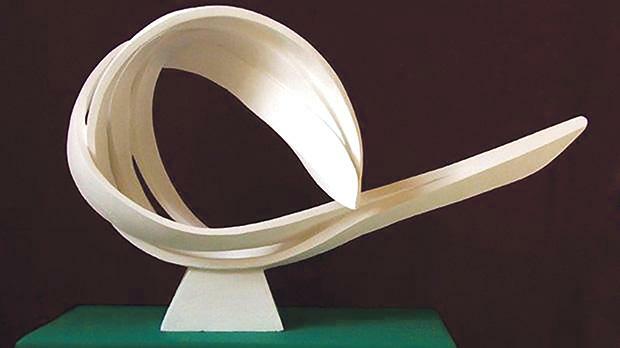 In 2014 he won overall prize in the painting and sculpture section of the Malta Society of Arts’ national competition. In 2016 he received the honorary diploma of the Berliner Art Prize. 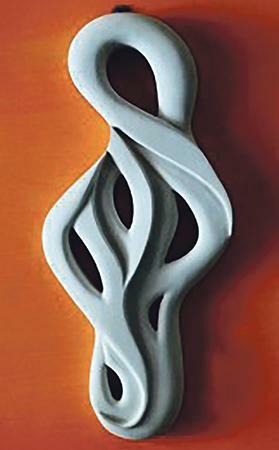 Fenech works in both stucco and ceramics. In sculpture he loves working in an abstract idiom. He believes that an artist should allow his work to speak for him. If truly eloquent his expression would become universal. ADG invites its members, their friends and the public to this cultural and artistic event that should interest those with a love for sculpture and modelling technique. For more information visit www.adgmalta.webs.com.